Joanna Vivian Meyrick and Atticus Weston Haynes III grew up in two, completely different worlds, maybe even different planets. This is their story. Joanna does everything off the cuff, her life is a bit of a mess...at-all-times. She is spontaneous and gets herself into seemingly impossible situations. Joanna has had a rough life, but most of her mishaps are brought on by her clumsiness or absentminded nature. She takes everyone at face value and does not think anyone could betray her...until they do. And it always devastates her. Maybe she has no control of what happens to her and it has all happened to bring her to one defining moment in her life. 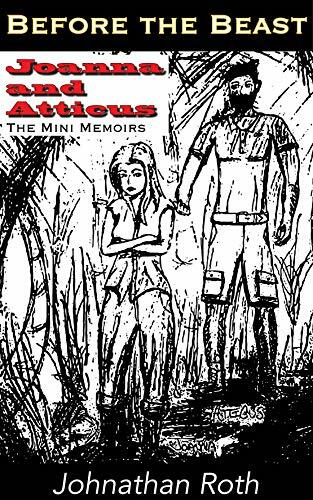 Atticus is a methodical person, he likes everything in it's right place, but has been through tragedy in his life. He is rich, but he views money as nothing compared to what he has lost in his life. What brings Joanna and Atticus together is something out of the ordinary, something other worldly, something that only happens in dreams....or nightmares. This short story is a prequel to the upcoming novelette, by Johnathan Roth, called The Place Between. It is a sneak peek at what lead up to the couple's meeting and their encounter with an unforeseen beast and a life altering chain of events.